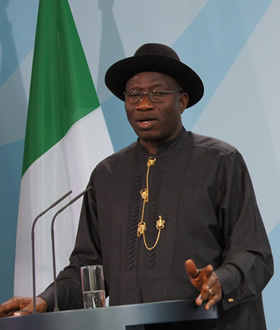 Abati said Jonathan also praised the Esama’s “trail-blazing achievements in several fields of human endeavour. “Come Sept. 11, you will be marking your landmark 80th birthday anniversary of a life of uncommon accomplishments and enduring fulfillment. “In a classic epitomisation of the triumph of the will over the temporal limitations of circumstance of birth, you defied all odds and emerged from very humble beginnings to become a captain of industry of note beyond the shores of our nation. “You are also one of Nigeria’s most readily recognisable names, through it all, you have remained faithful to the rich cultural heritage of the revered Benin Kingdom as one of the most senior chiefs in the land”. He said Igbinedion had played a significant role in Nigeria’s democratic developmental process. He also described the Esama as a trailblazer in every enterprise he had ventured into, noting that “yours is indeed a life truly worthy of celebration”.